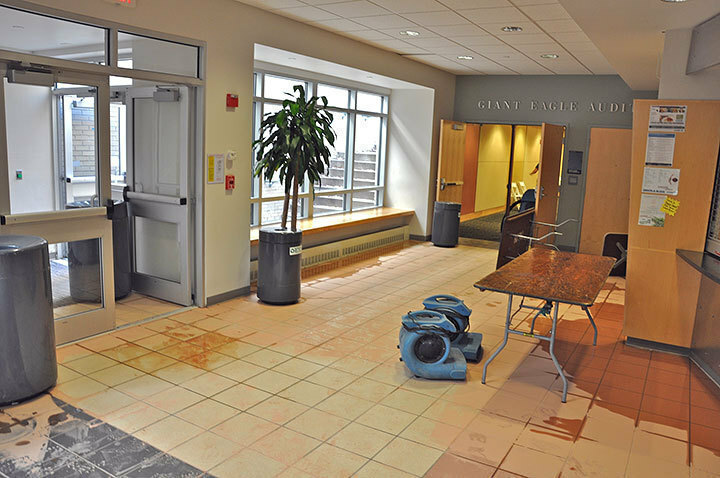 The A-level of Baker Hall, including the Giant Eagle Auditorium, flooded Sunday morning. 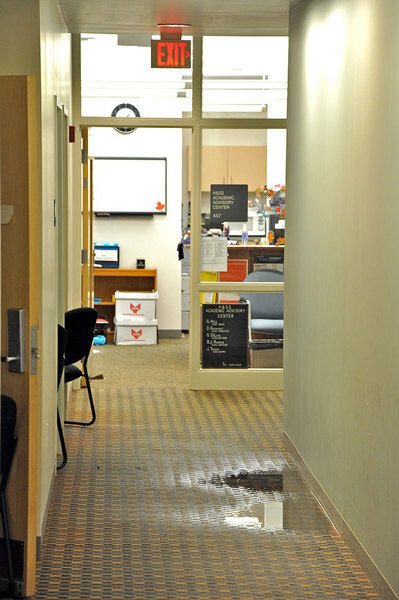 An incident over the weekend caused flooding in most of the rooms, including a number of offices and classroom areas. 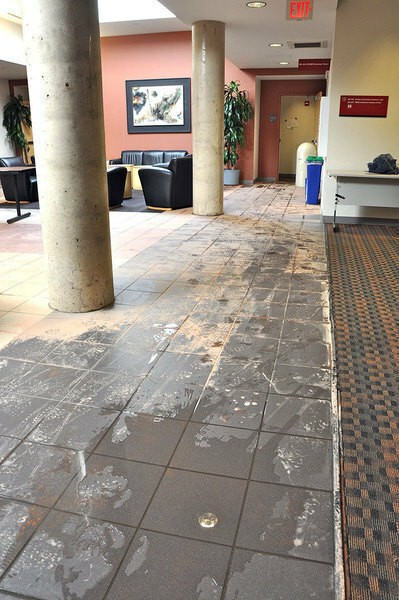 Workers were drying the facility with electric blowers even as graduate students were carrying out work in their offices. The Carnegie Mellon registrar’s office has scheduled alternative locations in the University Center for classes that would normally take place on Monday in the auditorium. There is no word for individuals or organizations with activities scheduled for Sunday on the floor.